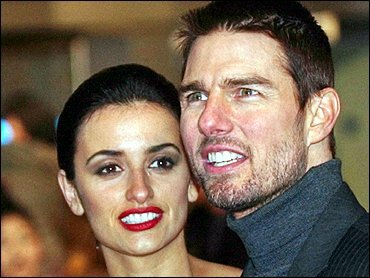 Tom Cruise and Penelope Cruz have ended their three-year relationship. The couple, who spent long periods apart while filming, "broke up at the end of January and it's amicable," said Lee Anne DeVette, Cruise's sister and publicist. Robert Garlock, Cruz's spokesman, told People magazine that neither star is dating anyone else and the two "remain good friends." Cruise, 41, starred in last year's "The Last Samurai" and appears alongside Jamie Foxx in the upcoming Michael Mann-directed thriller "Collateral." Cruz, 29, appeared in last year's "Gothika" and the recently released Italian film "Non ti Muovere (Don't Move)." She is to star alongside Charlize Theron in the upcoming "Head in the Clouds." Garlock said Cruz had not become a Scientologist like Cruise "but she has taken (church) courses and she's found them beneficial." He said Cruise's religion was not involved in the split. Cruise and Cruz met on the set of the 2001 film "Vanilla Sky."